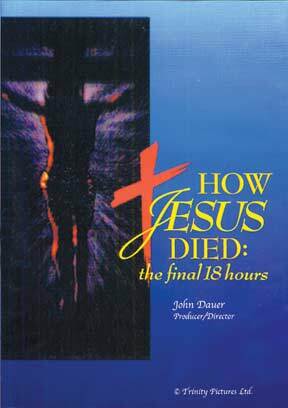 How Jesus Died: the final 18 hours- captures every detail of the last few hours leading up to Jesus' death on the cross. From His entry into Jerum for the Last Supper, through His prayerful agony in the Garden of Gethsemane, His trials before Sanhedrin and Pilate, the scourging, the crowning with thorns, the brutal ascent to Golgotha bearing the weight of the cross, the nailing of His hands and feet, as well as those final three hours of torment, ending in his death. Four world-renowned experts explore various aspects of Jesus' crucifixion. Each revealing important understandings from their points of view as medical examiner, an historian, an archaeologist and a medical expert on pain.